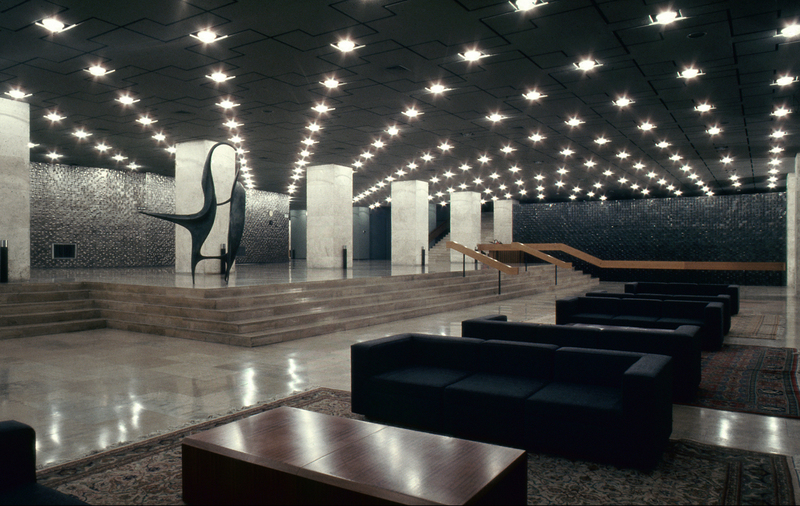 The modernist period in architecture was characterized by an interest in abstract form and industrial methods and materials. Steel, glass and reinforced concrete augmented later by industrially manufactured building materials were used to develop the foundation of modern architecture. Today the aesthetics of late modern architecture is with us appreciably the same as it was for most of the 20th century. Moreso, modern architecture, its design principals and building conventions are now a worldwide phenomenon that that has expanded into all geographies and cultures as a unified global system for architecture and construction in a dramatic expansion of the principals of modern architecture. The results of this system on the quality of human life though have been mixed. While an increasing standardization of the built environment around the tropes and materialism of this now watered down commercial modernism has provided economic efficiencies, the impact of this architecture on society has not been as successful. A similar set of conventions using a standard group of materials has pushed architecture into a common global language at a massive scale that increasingly lacks meaningful connections to society, environment and importantly human experience. Looking around at urban areas from Mumbai to Santiago, the spaces of the ubiquitous grey, multifloor reinforced concrete buildings that fill up our cities with no apparent reference to what they are and the lives they house has resulted in a bland one size fits all monoculture for architecture. In this massively standardized world cost-efficient construction methods have failed to create architecture with a design character aligned to society and human needs. But it was not that far in the history of modern architecture that architects were working to address the lack of character of modernism with a deeply specific approach that brought together architecture and design. Starting with the Arts and Crafts Movement through the Bauhaus and up to the global modernism of the 1950s and 1960s there was a constant dialogue between architects, designers and craftsmen responsible for giving detail to buildings. 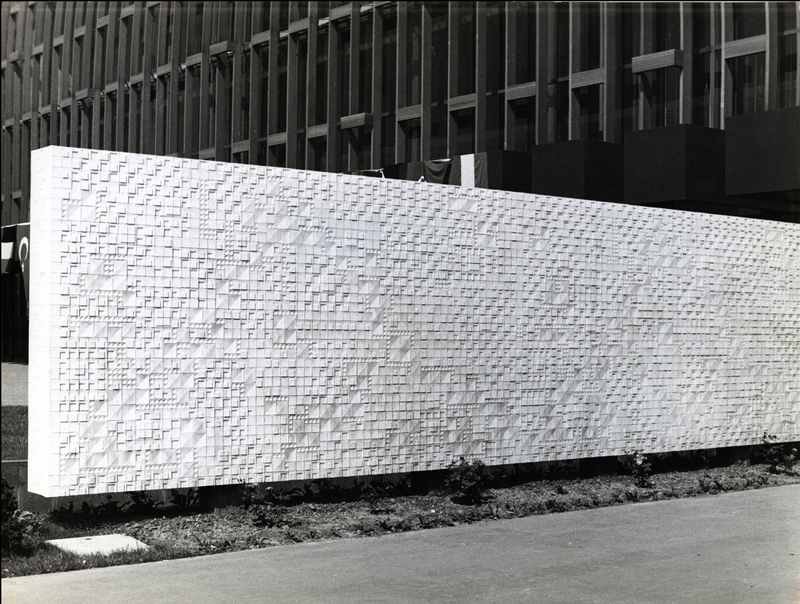 Architects working in coordination with these designers for example in areas such as plaster, ceramics, woodworking and glasswork generated spaces with local character that was standard architecture practice up through the 1970s. 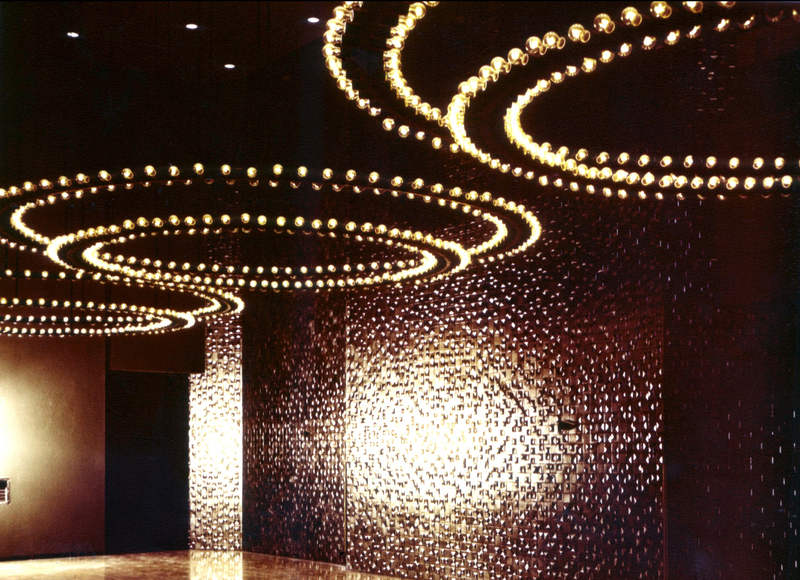 Architects and designers together finessed the details of their buildings to bring handicraft back in touch with the creation of architecture to stress the deeply specific nature of space. An interesting and otherwise forgotten aspect of the deeply specific in modern architecture can be found in Turkey. With its long history of architectural ceramics dating to the Ottoman period there was in Turkey in the modern era a widespread use of ceramics in construction. 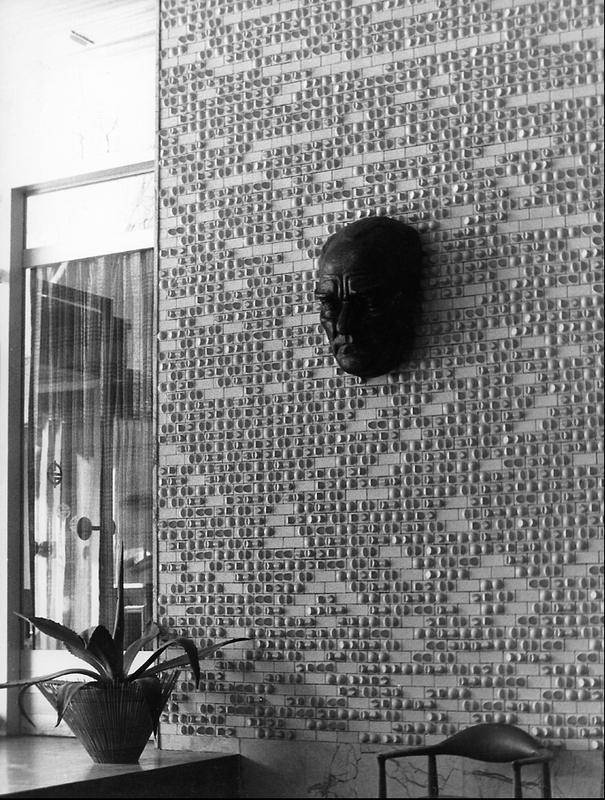 Of those working in this period the ceramicists Sadi Diren with his wife Belma Diren were the most important designers of ceramics for architectural settings in this trend in Turkey in the second half of the 20th century. 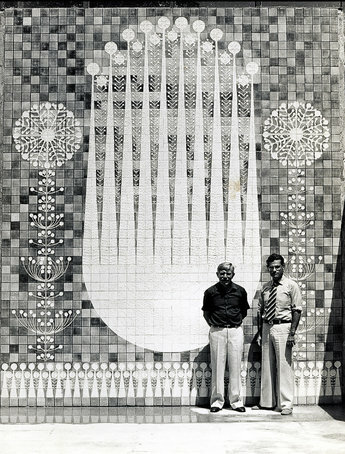 The Direns’ technical knowledge combined with an aesthetic merging modern and traditional Turkish forms resulted in original panel murals and tiles that decorated significant public buildings in Turkey from the 1960s to the 1980s. While Sadi Diren focused on creating forms in part based on the decorative geometry of Anatolian craft, Belma Diren concentrated on surface glazing and color. Their designs were influenced by their experiences in the commercial ceramics and pottery sector in Germany where they worked from 1955 and 1964. But also importantly they continued to transform architectural ceramics, a traditional art form associated with Turkish culture and Anatolia since ancient times, into a modern format in line with Turkey’s emerging cities and society. Their art and designs emphasized abstract and archetypal forms with articulated, colored surfaces and rich textures. Their murals and tiles were significant additions to the newly emerging modern building types such as hotels, corporate offices, residential buildings and cultural spaces. 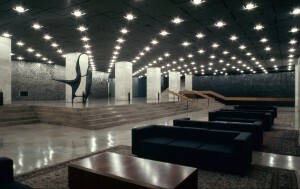 For these architectural settings they designed representational murals with Turkish iconography or working closely with modernist architects such as Hayati Tabanlıoğlu and Abdurrahman Hancı they developed original combinations of relief tiles that resulted in large, geometrical interior surfaces that complemented the space and light of modern architectural settings. Utilizing the traditions of creating abstract forms through patternmaking they realigned these craft based traditions to design to a completely new modern synthesis of form and material. 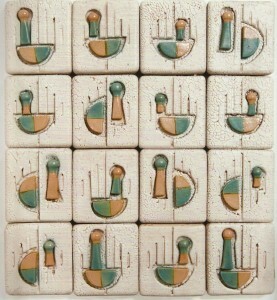 Their work with Eczacıbaşı, one of the major industrial ceramic producers in Turkey, ensured that their designs became a popular art form and design format whose acceptance can also be seen in similar architectural ceramics produced by other companies such as Çanakkale Seramik and Gorbon-Işıl. The Direns were the leaders in a period in ceramic design in Turkey that saw the widespread application of ceramics in architectural settings. 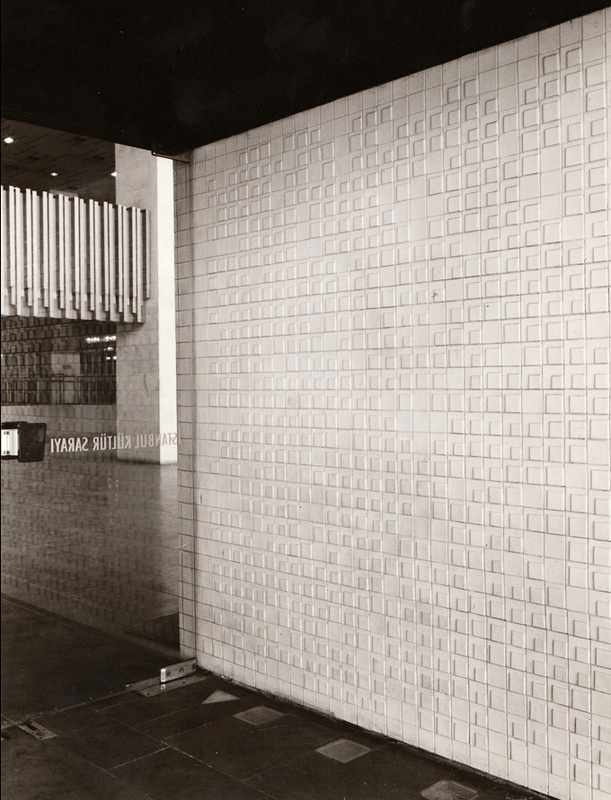 From the 1960s their architectural ceramics in the form of ceramic panels, murals and relief tiles were a common strategy to provide specific character for public space. Today we can look to these modernists as inspiration for the design of the details of architecture. 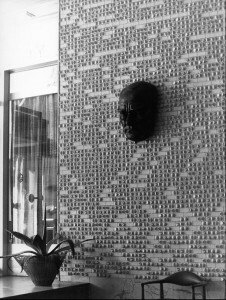 The deeply specific way that ceramic designers such as the Direns worked with architects to give spaces individual character were instrumental in enhancing the experience of architecture. 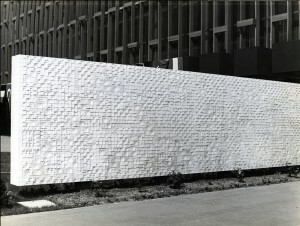 Today architects working closely with ceramics industry with the assistance of computer generated design have the opportunity to replicate these efforts with the use of industrially produced ceramics with an eye toward a similar notion of deep specificity. Gökhan Karakuş is an Istanbul-based designer, curator and writer. He is the founder and director of Emedya Design, an interactive and environmental design studio creating a range of projects including wayfinding, exhibitions and publications. As a writer he is the editor of the stone architecture magazine, Natura, and a regular contributor to leading global architecture publications such as Detail, The Architect’s Journal, Architectural Record, Dwell and Bauwelt. He is also a curator of many important exhibitions on architecture and design including the recent exhibition, The Performance of Modernity: Atatürk Kültür Merkezi, 1946-1977, on Turkey’s modern opera house at Salt Galata in Istanbul. He is a noted lecturer on topics such as architecture in non-Western contexts, design and craft. This entry was posted in Home on 2014/03/12 by admin.